Dave Serfling was interviewed in July of 2016 by BDancewear.com for an article on thier Blog. You can visit the entire interview here and leave a comment for them about it. 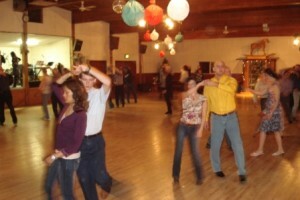 Unlike most of the studios we spotlight, The Rockin’ Horse Dance Barn in Renton, Washington, is an adult Social Dance Studio. They offer dance lessons in a variety of Ballroom, Country, Latin and Swing Dances as well as Line Dances. During the week there are lessons every night and some in the daytime. Friday nights provide a chance to have fun and dance. The night starts off with a dance lesson from 7 to 8 p.m. to get things warmed up. Then from 8 to 11 p.m., you can dance to a variety of music that works with all the types of dance taught during the week. Dave Serfling. the Owner of the Rockin’ Horse Dance Barn, believes their studio is different from other studios because they teach dancing for fun, not competition or performance. Their dance lessons are mainly done in Group Classes. This keeps the dance lessons fun and social. Additionally, they do not use high pressure sales to sign anyone up for long term contracts. The classes run 6 weeks. Then they start new ones. 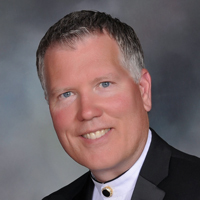 Dave believes that if people have fun and enjoy the class, they will automatically sign up for more and there is no need topressure anyone to join. They do offer Private Dance lessons for those that are interested in that type of learning environment. But, again there is no pressure to buy a large quantity of lessons. According to Dave, he has had many proud moments. However, there are two that are the most common. The first one occurs when students go on further in their dancing and decide to compete and then they tell everyone that they got the bug for dancing from him and how he made it so much fun to dance. The second one occurs when students come to his classes or other classes at the Rockin’ Horse Dance Barn as single adults to learn to dance and end up meeting their Special Person. Before long they get married and they are so happy they came to the Rockin’ Horse Dance Barn. This one happens a lot!